That is Brian. He is always learning new things. He learns very fast. Brian has a strange hobby. He plays the bagpipes. 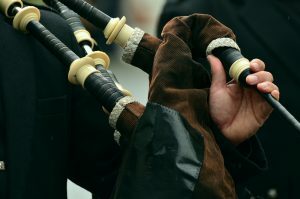 The bagpipes make weird music. 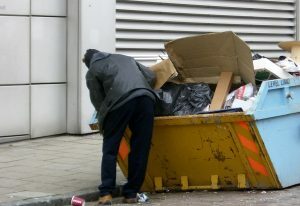 One day, Brian sees something strange in the trash. He thinks it is a bicycle. It isn’t. But it’s a unicycle! The unicycle isn’t easy to ride. It has only one wheel. There are no handlebars. There are no brakes. But Brian likes to learn new things. He learns very fast. He rides well. A friend asks Brian, “Can you play the bagpipes and ride the unicycle at the same time?” “Yes, I think I can,” says Brian. And he does. Brian rides his unicycle and plays the bagpipes. 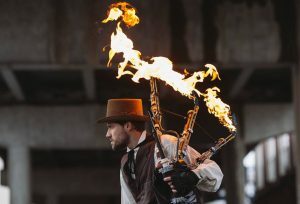 He also thinks of an unusual name: the Unipiper. Brian tries to be on TV. They say no. Brian tries again. They say no again. Then Brian wears a mask like Darth Vader. He plays music from the movie “Star Wars.” He makes a YouTube video, and 2,000,000 people watch it! 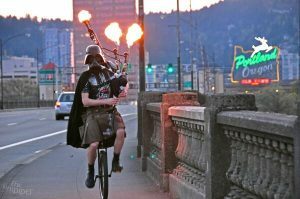 Now everybody knows the Unipiper. He is in newspapers, and he is on TV. 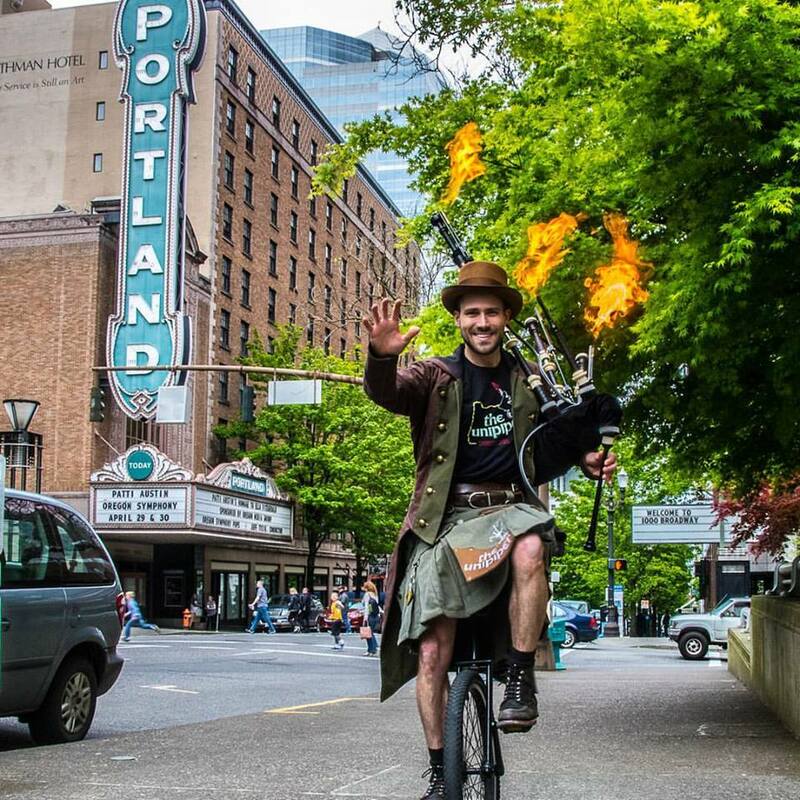 People come to Portland to see the Unipiper. Look and listen carefully! 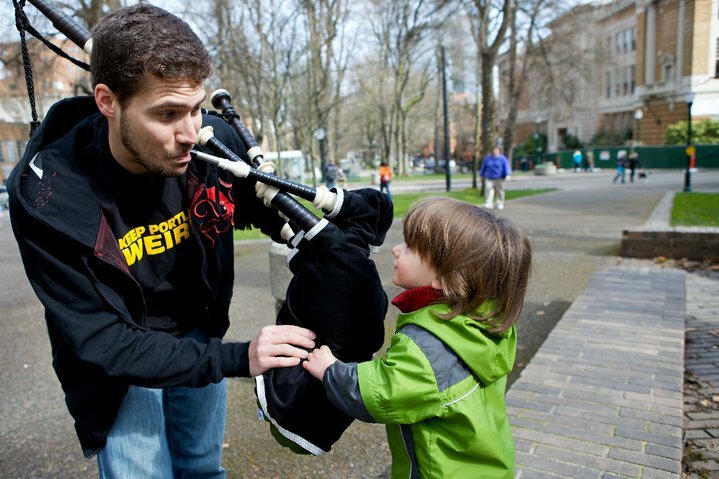 Maybe one day you will see and hear the Unipiper, too! 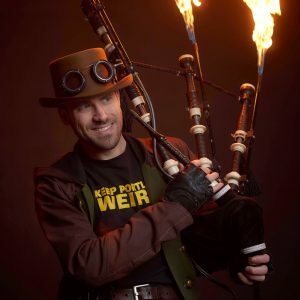 Do you want to know more about the Unipiper? Then visit his web page at www.unipiper.com. Talk with a classmate. What are your hobbies? Say what you like to do. Example: I read books. I play soccer. I bake cakes. A Strange Hobby by Timothy Krause is licensed under a Creative Commons Attribution-NonCommercial-NoDerivatives 4.0 International License, except where otherwise noted.